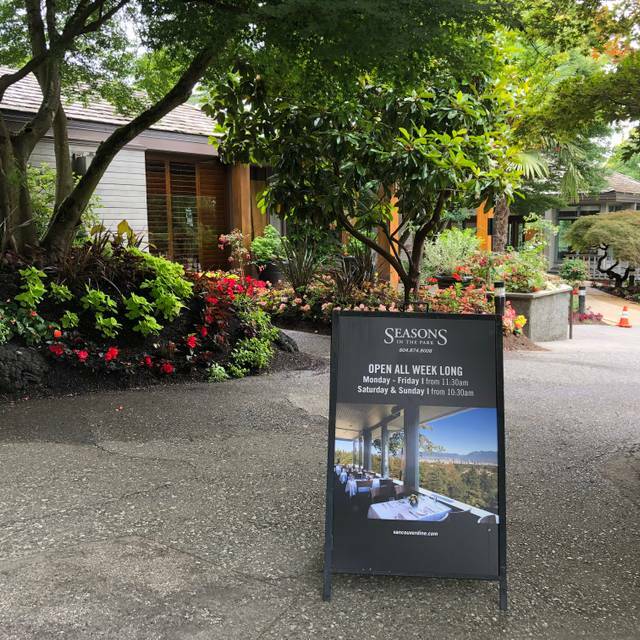 Poised in Queen Elizabeth Park at the highest point in the city, and overlooking the exquisite quarry gardens, Seasons in the Park Restaurant is a local landmark in a class of its own, having set the standard for distinctive regional cuisine and exceptional service in Vancouver for almost 20 years. this glass-wrapped restaurant features stunning views of Vancouver’s shimmering city skyline, the North Shore Mountains and Pacific Ocean. With innovative, seasonal dishes, the menu highlights West Coast and Pacific Rim influences and delivers clean, fresh, simple dishes. For private events Seasons in the Park offers four unique rooms, each boasting unparalleled views. 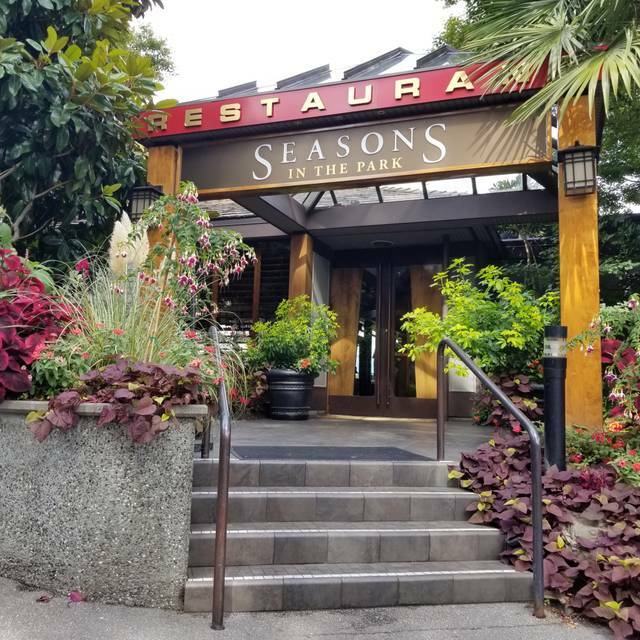 Seasons in the Park is the quintessential Vancouver dining experience; simply the very best the Pacific Northwest has to offer. 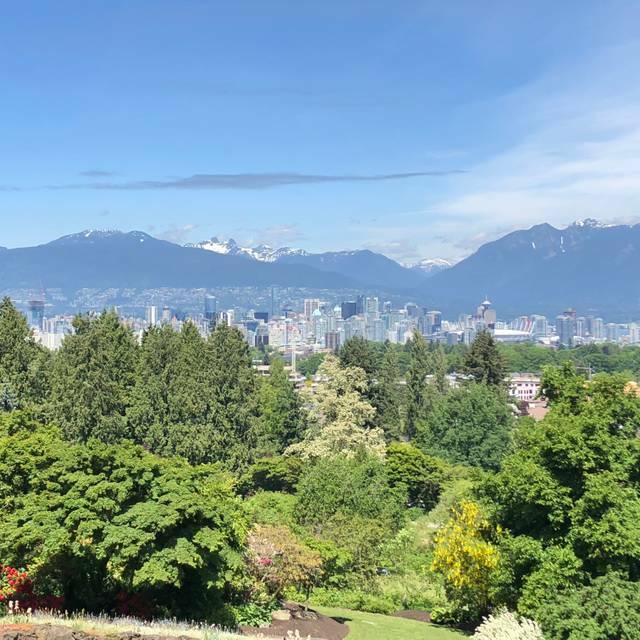 Spectacular views are the backdrop of a variety of the areas within the restaurant that accommodate larger groups: The Main Dining Room (130), the Skyline Room (70), the Garden Vista (40) and the Summit Room (50) are surrounded by greenery and showcase Vancouver at its best. 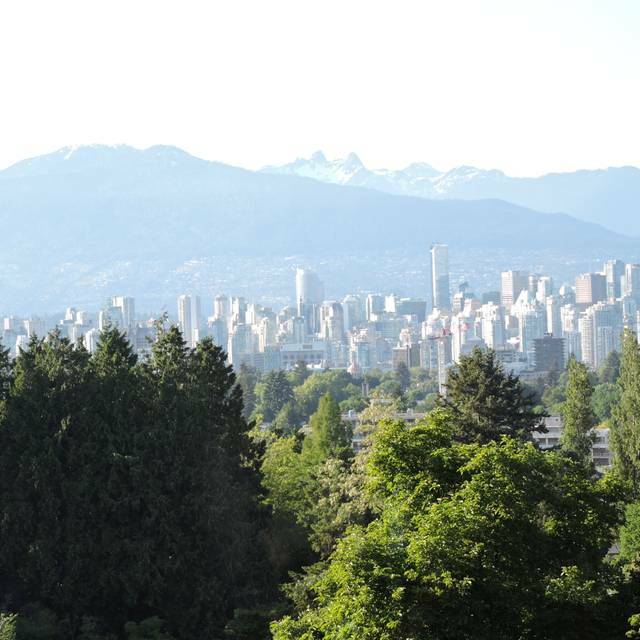 Entrances into Queen Elizabeth Park are located at West 33rd Avenue (Midlothian Avenue) at Cambie Street and West 33rd Avenue at Cambie Street. PAY PARKING IS RUN BY THE CITY OF VANCOUVER AND IN EFFECT ALONG THE STREET AND IN THE PARKING LOT UP TOP. VALET SERVICE AVAILABLE ALL DAY. 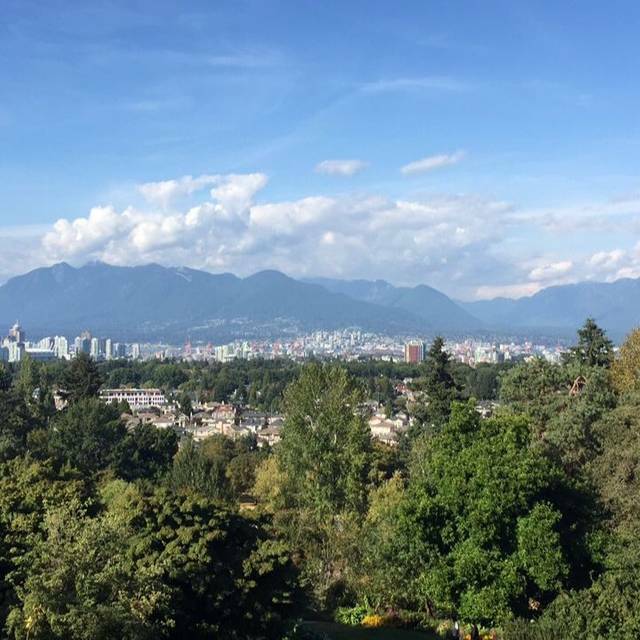 Seasons in the Park is located at the very top of Vancouver's second largest greenspace. There are public transit stops located along both Cambie (#15) and Main Street (#3). For more information on getting here CLICK HERE! 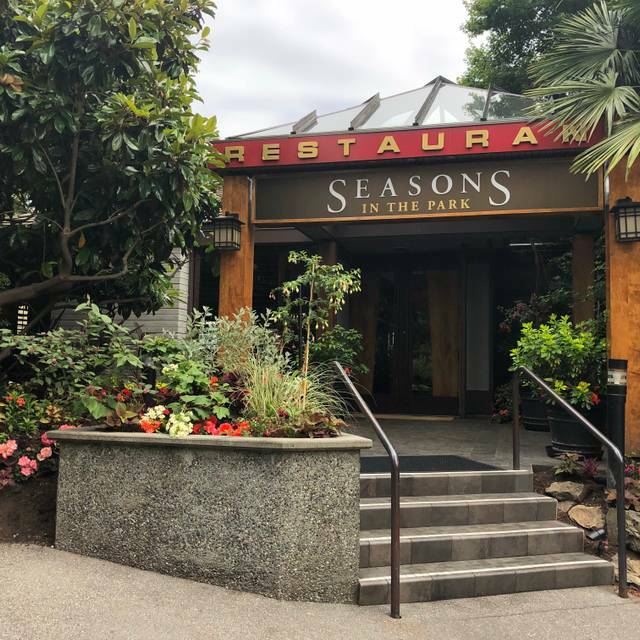 THE SEASONS IN THE PARK WINEBAR IS OPEN! Join us on Tuesday nights for our public wine tastings. For tickets & more information on upcoming events CLICK HERE! We are 4 people, when we finished dinner and seperated the bill, the waiter forced the 15% tip and told me in canada it should give tips, even he finally ask $2 tips not 15% (I think his Math is not good enough), but only ask me tips? why? Did i do anything bad to him? I don't think so. Food is good, but terrible experience for this. The restaurant is beautiful, well staffed, and good quality food and drink for a reasonable price. The staff was friendly and always available even though they were all obviously busy. The view was spectacular from, as far as I could tell, every table. The food was well presented, good portions, tasty, and reasonably priced. There was a good selection of menu options at various price points. One of my favourite restaurants in Vancouver, i dine here every time i visit. On this occasion, i enjoyed the 3 course lunch menu, with each course being perfectly portioned and cooked. 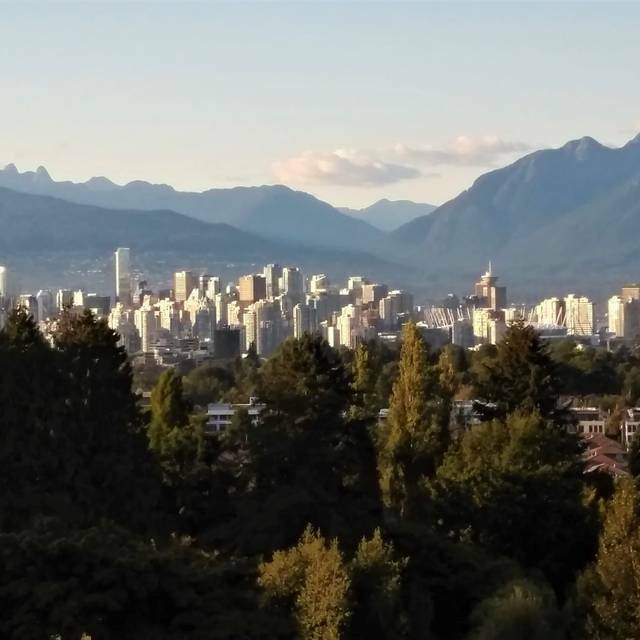 The service is friendly and prompt, and the views looking towards Vancouver downtown and the mountains are, of course, spectacular. 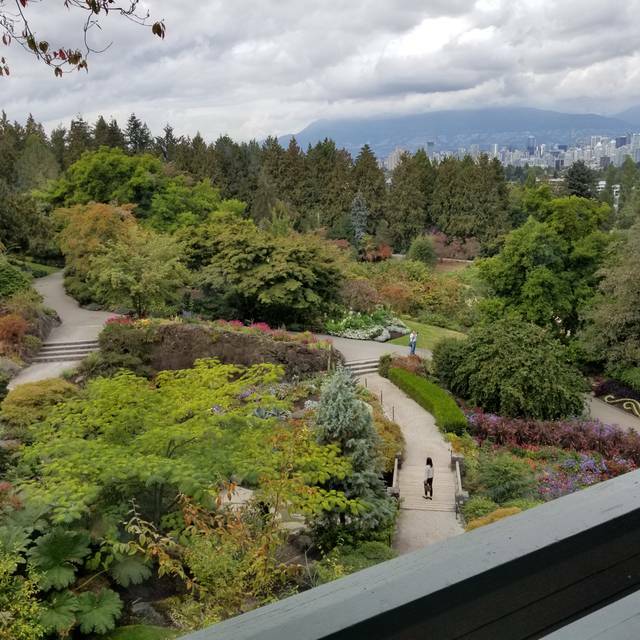 After lunch, we enjoyed a leisurely walk through Queen Elizabeth Park and the Bloedel Conservatory. Everything was lovely; the view, the ambience, our server (Melissa), our dinner of prime rib and Yorkshire pudding. The consistency of this restaurant to stay in the outstanding range is phenomenal. I love it. I’m actually quite disappointed about this dinner. We were celebrating our aunt’s 71st birthday and were expecting to come to a lovely restaurant with a great view and impeccable service. We got the great view. Our server started off strong. He was attentive and polite. He took our drink order and a busser dropped off bread. Then our food arrived. we all order steak. My husband’s was not medium rare and my aunt’s and mine were not medium but the server was no where to be found and didn’t do the “how we’re the first few bites?” Or else he would know. And he was no where to be seen to even flag down. He, finally, came by when we were almost finished to ask how the food was. Really? At the end? Then we ordered dessert which took an extended amount of time to come. My aunt ordered a cappuccino. My husband and I finished eating our desserts and no cappuccino and no server to be found anywhere to inquire. He, then, drops off the cappuccino claiming issues with the machine. Why would you not tell us when dessert was dropped off since the cappuccino should have come at the same time. He, then, tried to make small talk when we were paying the bill but, by then, it was too late. The food wasn’t good, the service was awful and then you try and make small talk? Great brunch, fantastic views. Service a tad slow. Still, place is incredible, and is a must for dinning with out of town guests. I’ll be returning in a few weeks. Food was good and our server was excellent! My only criticism is not having mashed potatoes as an option. Otherwise everything was great. Great service from Lisa. Always enjoy. A little cold though. Seasons in the park is such a beautiful restaurant with a beautiful setting. The food is always delicious and the service is always great. Our favorite place to stop for lunch after the drive from Seattle. They we go see the birds next door. Outstanding food, service, ambiance, view! I was especially thrilled to see Manhattan clam chowder on the menu! It is almost impossible to find this tomato based clam chowder anywhere in the U.S. as most Americans prefer the cream based New England style clam chowder. Of course, I had to have the Manhattan clam chowder and it did not disappoint! Tasty and with a bit of heat that felt nice in my throat! Dinner was duck confit - cooked perfectly with a nice cabernet demi-glaze. Unfortunately, I was too full to have dessert but that gives me a reason to go back the next time I'm in Vancouver! And I must mention the view. We got there after sunset so our view was of the sparkling night lights of the city instead. But still such a sight! And it started snowing lightly while we were on our main course so that made the view extra special! One last thing, parking is at a premium even on a weekday night. Pay the $10.50 and have the valet park your car. The waitress did a fabulous job....but maybe a little too gushy. The ambience is wonderful and the food presentations were lovely. However, I don’t feel there was value for my money in a couple of the dishes we ordered. I certainly don’t mind paying a higher price, if the food is excellent. Not enough of the crab flavour came thru on the crab cake and the mushroom caps had far too much cream cheese. The Sunday evening roast beef dinner is really good!! View and ambience were awesome!!! But,,, the asian male server’s serice was such a disappointing. He never asked us how the food was or what else we need..
For the food, the mushroom pasta was really good, but for the today’s special with fish.. fish was very dry. Overall, we loved the view and other staffs’ service however we were not happy at all with the server and dry fish... :-( Loved the place with view and ambience though! Seasons is still a great value and always has great service. Some locations in the restaurant have better views but even the poorest views are better than the ambiance in most restaurants. The food is always great and I have been here a lot over twenty years. A favorite. Good Food ... View for Sure is Superb; and makes this Restaurant! Great views and food! The service was great and the restaurant has different levels so you can see the views from pretty much any table. It was as always outstanding and the food amazing! Valentine's weekend, 2019... 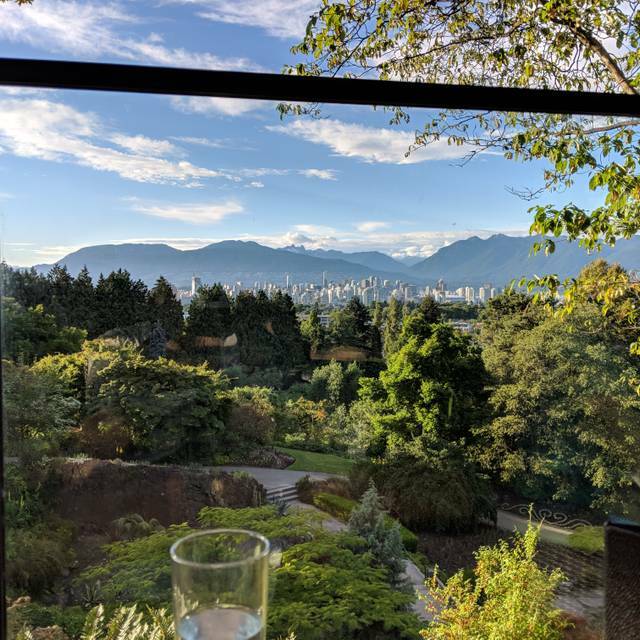 The view from our table was a bucolic snow-covered garden with the twinkling lights of Vancouver and the mountains in the distance. They could have served us burnt grilled cheese and we probably would have been happy because of the view and amazing service. However, we had an incredible meal and were happy with all three courses so it really was a very satisfying visit. We had the Valentines special set menu. Mushroom soup, Duck Confit & creme brulee were all delicious! Marek took excellent care of us - love the variety in the menu... Keep up the great work!! Overall experience was great. The margarita pizza wasn't the best however. Love this restaurant. Always fantastic service and great food. A definite place to take tourists as the view is spectacular. It was a beautiful place and the food is above average. I wish we could’ve gotten a window side table even though we reserved more than a month in advance. It was another Valentine’s Day dinner at Seasons in the Park. Instead of the special menu, we order off the full menu. We started off with the Meatballs appetizer. Sorry to say we were underwhelmed. The meatballs were on the dry side and the Roma Tomato Sauce was bland. For our salad course, we shared the Caesar. I love the Caesar Salad at Seasons. Beautiful romaine with the right amount of flavourful dressing. The capers are an added bonus. For our mains, they were the Cioppino special and the Fraser Valley Pork Chop. The Cioppino was outstanding and full of flavour. The fish, muscles, scallops and crab were cooked perfectly. The Pork Chop was the best I’ve ever had. Grilled to perfection with a wonderful mango and green apple chutney. The mac & cheese was as tasty as they get. The grilled vegetables were perfect. Our server suggested that next time we order the Pork Chop baked. That sounds delicious. Dessert was the Warm Apple Crumble. Just like grandma made. Service was outstanding. Nash, our server was friendly, knowledgeable and fun. So, other than the Meatballs Appetizer, dinner was perfect. We also enjoyed our window table view of the snow. I’m already looking forward to our next visit! Good service and excellent suggestions on drinks and entree. The food, service and the place was amazing. I fully recommend the pork chop and pizza margherita and the lemon pie too, everything was delicious. I will come back again. We always enjoy coming to this restaurant. The food is delicious and portion sizes are good. It's always a great time to be at Season's in the Park. Very few places in the city that have great food and great ambience and great service! Wonderful experience! Our server was exceptional and lovely to us! Beautiful property, excellent service and delicious food. I went here with my girlfriend to celebrate our 4 year anniversary and we really loved it. I highly recommend it!